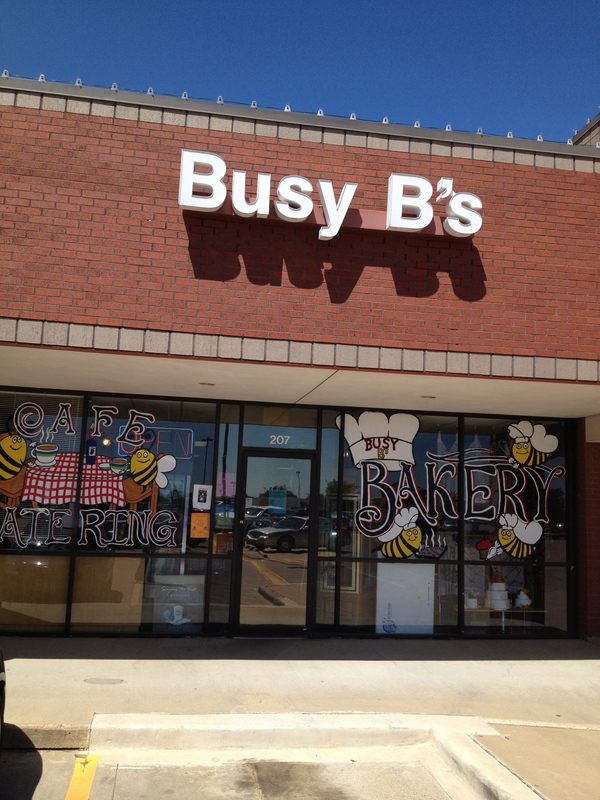 Busy B’s Bakery | Who's Cooking for Kacey? 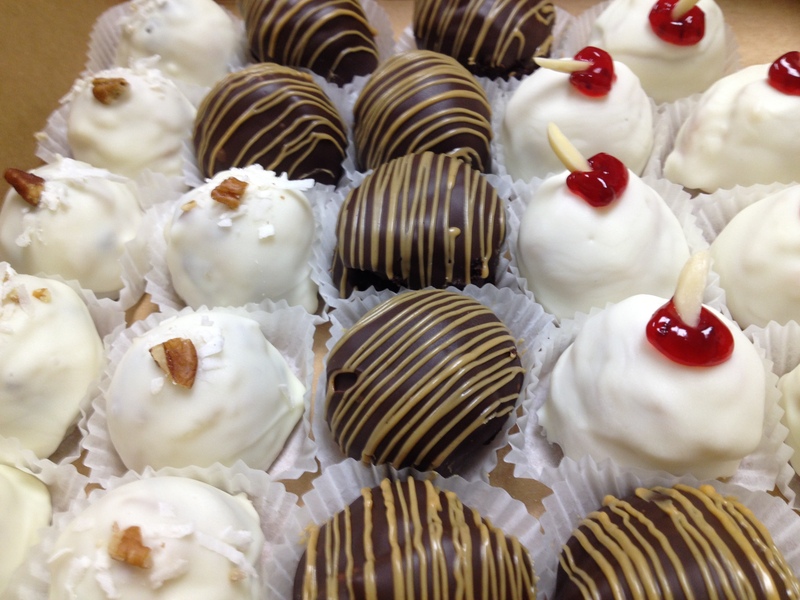 Cake Balls: Love Them or Leave Them? I’ve noticed that these tiny balls of icing, cake, and chocolate coating can spark quite strong feelings in consumers. Some love that their icing/cake combination is unique to the cupcake and others would not choose them if they were the only dessert on the table. They have the potential to be a little extra moist in the center and this has been known to turn off the texture sensitive. Busy B's Cake Balls ("Bites")....they are round and "ball" sure seems to describe them better, so I'm using it. Flavors featured are Italian Cream, Chocolate Peanut Butter, and Raspberry Almond. I for one, prefer the cupcake to the ball, unless of course we’re talking about the Chocolate Peanut Butter cake balls at Busy B’s off the main street in Midlothian. No undue moisture in here…these babies are perfect! These delicious little nuggets remind me more of a truffle, from their cake-like, candy-like center to their hard chocolate coating. These charming little goodies have accompanied me to a friend’s baby shower and a few work events and are always a hit. I am sure to take one and set it aside because these little chocolate peanut butter delicacies will be gone before their white chocolate coated cousins even get a second look. 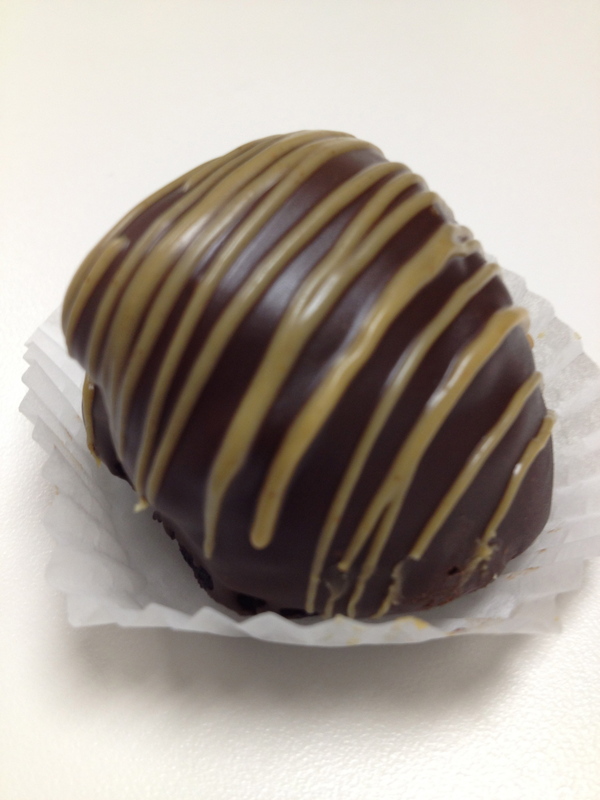 Now don’t think you can just waltz on in to Busy B’s and expect the Chocolate Peanut Butter Ball to be waiting for you. One can always hope, but your best bet is to place an order beforehand, or at least call ahead and see what flavors they have on hand that day. While you’re in there, you’ll also want to grab a cookie or two for later…because let’s be real, it is sooo hard to walk out of a bakery with only one item. You need at least two different treats for sure, one for now and one for later. I’d love to know what you think! Take the quick survey below.